Microsoft included support for Progressive Web Apps (PWAs) in the recently-released Windows 10 April 2018 Update, and at its Build 2018 event, the company went into more detail about how these specially-made web apps can revolutionise Windows 10 in the future. PWAs are websites (or web apps) which are implemented as native apps, and act just like a normal app would, giving users notifications, live tiles, and even working offline in Windows 10. The idea is to encourage more companies to create these apps, and up until now they were downloaded and installed like regular Windows 10 apps from the Microsoft Store. However, Microsoft has now explained how, starting with the next major update to Windows 10 (which is currently codenamed Redstone 5 and is expected later this year), PWAs will have new user interface options to allow them to look and feel more like regular apps. At the moment, if you open a PWA, it will appear as a standalone Edge window, but with all the browser elements removed from the user interface except for a back button. With Redstone 5, Microsoft will be adding full screen and minimal user interface options. Despite its name, ‘full screen’ doesn’t actually make the app take up your entire screen. Instead, the app remains in a window, but it removes the back button, making it appear even more like a standard app. Meanwhile, the ‘minimal’ UI adds browser buttons such as back, forward and refresh, while also including a read-only URL address bar. App developers will apparently be able to choose which of these buttons are displayed. 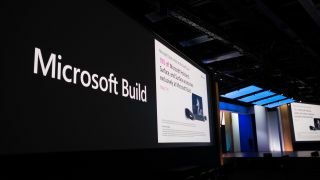 Microsoft also revealed its plans to make installing PWAs easier, and with Redstone 5 you’ll be able to download PWAs directly from the Edge web browser. When you go to a PWA’s website in Edge, an icon will appear in the URL bar allowing you to download the app there and then, rather than opening up the Microsoft Store. What this means is that app developers can create PWAs and not have to worry about Microsoft approving them for the Microsoft Store. This could encourage some developers to make more PWAs. Also, it means that you’ll be able to get web apps from companies such as Google, which have PWAs but are reluctant to put them on the Microsoft Store. It’s good to see that Microsoft is no longer forcing the Microsoft Store on developers of PWAs, and this looser approach could result in a much more varied collection of Progressive Web Apps in the future.